Let’s be honest, some leaders don’t believe it’s necessary to make a workplace psychologically safe. After all, professionals are unemotional superhumans who don’t take anything personally, right? Of course, I am being facetious but working “professionals” have held themselves to unrealistic expectations for far too long. Psychological safety is more than an improvement in work culture, it’s a chance to reset what never worked. Is your leadership team trying to decode how the new psychological safety standards in the Occupational Health and Safety (OHS) Laws, that came into effect June 1, 2018, will impact your business? There’s good news. Improving the psychological safety of your workplace can reduce gossip, incivility and brand assassination. In 1999, Amy Edmondson the Novartis Professor of Leadership and Management at the Harvard Business School, conducted research on psychological safety at the group level. She defined psychological safety as occurring when employees can freely speak their mind, the organization encourages risk-taking and employees trust/respect each other. These definitions may sound idealistic but they highlight the need for more honest conversations. It’s an open secret many professionals hold back from saying what is really on their minds. These struggles only get more complicated as employees advance in their careers. When I do one-on-one conversation coaching with a senior leader, the fear of saying the wrong thing is always present. Introducing psychological safety into your workplace can deescalate the pressure to communicate perfectly. It’s a chance to stop acting like a professional and practice authentic professionalism. So, back to the three benefits that will increase productivity. Employees that I work with spend a considerable amount of energy trying to navigate communication land mines that if removed would allow them to get back to work. In other words, it’s possible a focus on psychological safety can reduce already existing problems that distract your employees from performing (and feeling) their best. 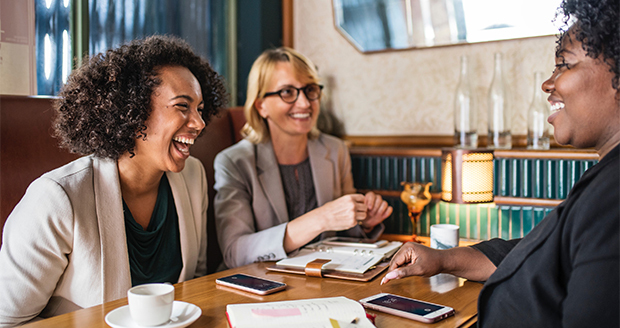 Workplace gossip is assumed to be idle or malicious talk but research by authors Daniel Brandy, Douglas Brown and Lindie Hanyu Liang, Moving Beyond Assumptions of Deviance: The Reconceptualization and Measurement of Workplace Gossip, Journal of Applied Psychology, October 2016, found the top three self-reported reasons to gossip were 1) gather and validate information, 2) vent and cope and 3) build friendships. Interestingly, the “motivation to negatively influence another (i.e., with the intent to harm or influence) was tied for the least prevalent reason to gossip”. Colleagues will always turn to one another to discuss events at work, but you could reduce the rate of gossip by allocating more time to questions and clarifying facts before wrapping up a meeting. This is an opportunity for leaders to encourage less conversations to be taken “offline” and send a positive psychological message to your staff that questions and constructive conversation are encouraged. It’s these old-fashioned dismissive responses that make staff feel psychologically unsafe. Under the new OHS Laws, however, employers are required to “investigate and take appropriate corrective actions to address all incidents and complaints of workplace harassment in a fair, respectful and timely manner.” Time will tell how supervisors will be able to navigate this broad expectation. Regardless, leaders who stop turning a blind eye to incivility will see a positive impact in their employees. As Porath points out, “The effects of your words and deeds ripple far beyond the people working directly with you. If you’re uncivil to someone, expect that he or she will pass it on.” In my experience, the opposite is also true. Perhaps it is time to review your complaints/whistleblower process to see if they are in alignment with a psychologically safe workplace? It’s far more productive (and less expensive) to listen to your staff when they have a complaint than when they share their bad experiences with the public. This is not news, but for leaders who are busy and overworked it’s a good reminder given the cost of trying to repair a bad reputation. Janet Hueglin Hartwick is a conversation coach, trainer and speaker. She is the founder of Conversations At Work, an evidence-based communications training program that helps leaders manage today’s emotionally engaged workforce. Janet is also is also the President of Soilleirich Communications Group, a consultancy that specializes in corporate and employee communications.